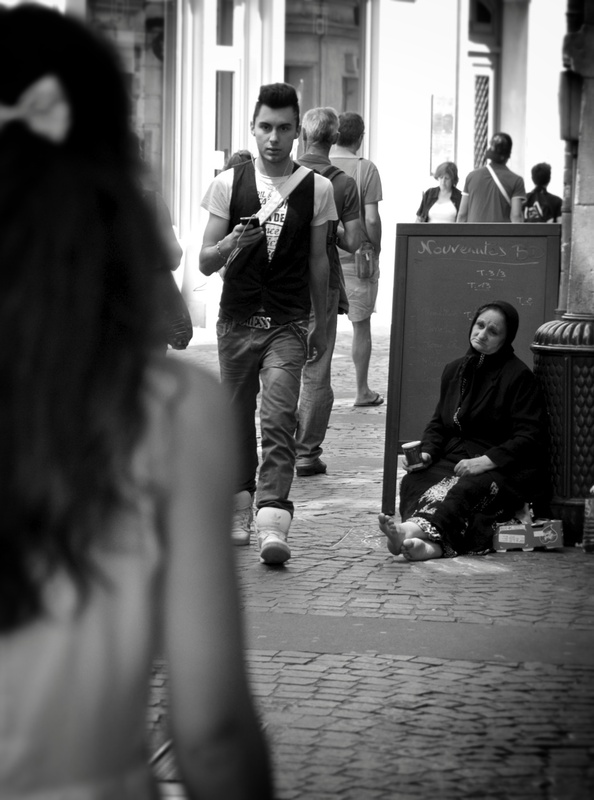 Walked slowly on a pedestrian street somewhere in Paris last weekend, this one really show the differences between rich & poor in black & white.. This entry was posted on 8 June, 2013 by aolsson. It was filed under All pictures, Black & White, Human .